I agree with Black*Eiffel. These "city" prints by Blanca Gómez are wonderful! 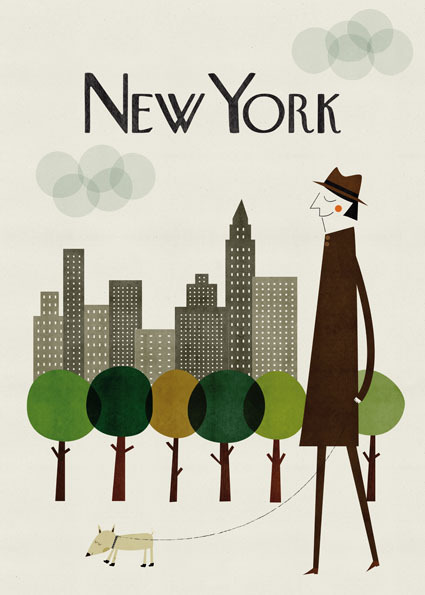 I love the overlapping trees, the tiny happy dog, and the "New Yorker" style lettering. Fabulous. Check out more cities and more loveliness in her portfolio here.